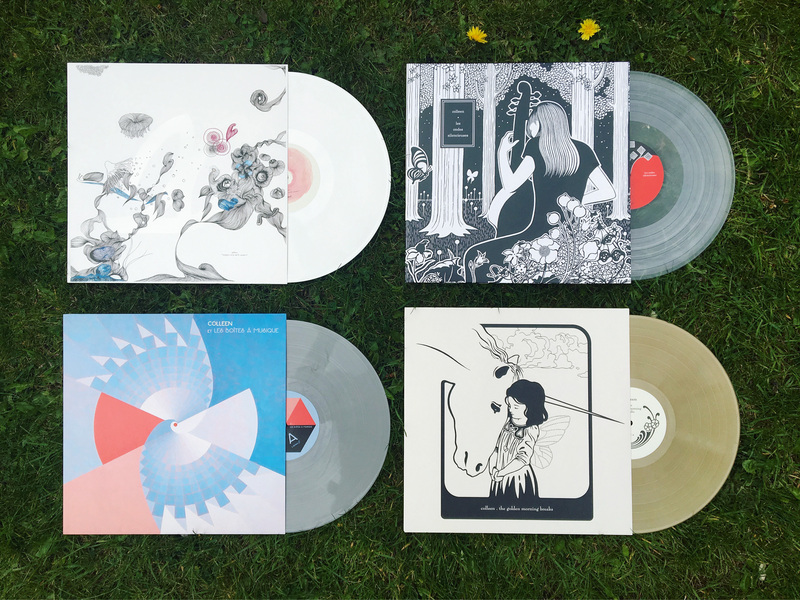 RECORD STORE DAY VINYL AND 4-COLORED VINYL BUNDLE ON MY BANDCAMP! 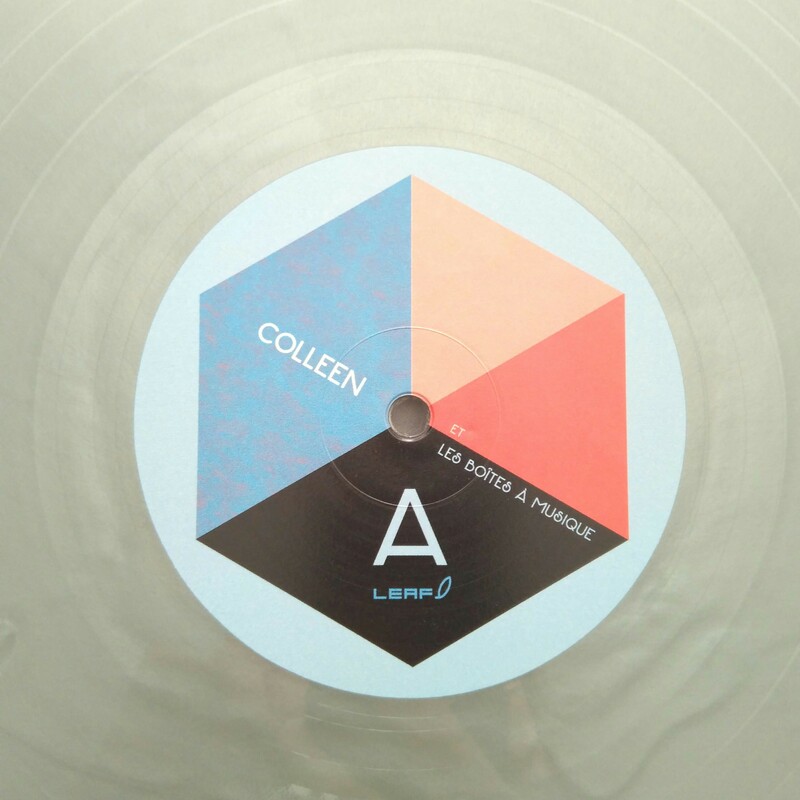 I have just made available on my Bandcamp limited stock leftover from the 3 colored vinyl album reissues released last week on Record Store Day: the albums are available for individual purchase, but there is also a bundle including last year’s Everyone Alive Wants Answers on white vinyl. Vinyl are shipping from the UK through The Leaf Label who are behind these reissues, and the bundle is sent by registered delivery. 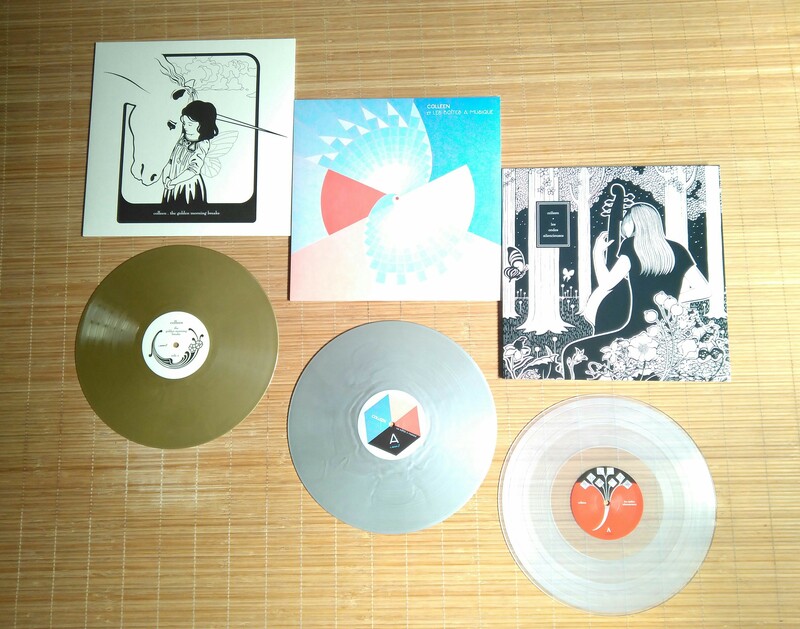 Following a lengthy email exchange with The Leaf Label yesterday afternoon, we jointly decided to decrease the price of all Leaf items on my Bandcamp, in an effort to make purchase of said items less “discriminatory” for EU customers. Indeed, as a self-employed person in Spain, I am under the obligation to charge VAT to EU customers on physical goods, even if they are sent by another company (in this case Leaf). This means that my European customers are at a disadvantage compared to my non-EU customers, as they get charged 21% VAT on top of the announced Bandcamp price… Add to this the ridiculous shipping costs which are now the norm all over Europe, and yes, you may well decide to empty your cart, and I wouldn’t blame you. There is unfortunately no way for Bandcamp to set up different item prices according to the customer’s location, so the only solution we have found is to lower the price of every Leaf item, so that not only the item itself is cheaper, but the VAT amount too since it’s a percentage of the item’s price – so that the final total won’t be as overwhelming. Incidentally this means that all those of you living outside the EU also benefit: you don’t get charged VAT and you still get a cheaper item! I will send a personal refund equivalent to the difference in price to all the people who placed their orders yesterday before the price change, and we do apologize for this last minute price change. It’s not easy to be on top of everything and even though the online economy is useful for both customers and sellers, it’s still a tricky place to navigate, since there are definitely real life laws that govern us and I wouldn’t want an encounter with the Spanish taxman! I’m not a commission and collaboration person; I’ve known this for a long time and have finally embraced it fully, but when I started releasing records, I did accept a few projects, such as the invitation by the Atelier de Création Radiophonique of French national radio station France Culture to produce a 1-hour broadcast that wouldn’t be just music. I had been attracted by the world of music boxes and mechanical music instruments in general for a while, so the choice was immediately obvious. I also love watching old films (by “old” I mostly mean anything pre-80s, from the silent era onwards) and I had noticed the unbelievable quantity of films including music boxes. I spent the next few months rewatching the films in which I remembered music boxes being used, and watching more films in the hope of catching more examples. As chance would have it, I had already planned a visit to my friend John Cavanagh, whom I mentioned in relation to the rare glass harmonicon used on The Golden Morning Breaks. John had formerly been an antiques dealer specialising, among other rare musical items, in mechanical music instruments, and I knew he had huge Victorian music boxes and a few other music boxes lying around – the timing was perfect! It turned out I wasn’t so keen on the complex melodies produced by those large boxes, especially as I couldn’t quite see how I could manipulate the music they produce; however, their combs were so large that it was impossible not to see their percussion/ plucking (thumb piano style) potential. We spent a couple of afternoons with John recording my improvisations (quite a feat in itself, as the sound produced by hitting a comb with small mallets or plucking it with your thumbs is not very loud, to say the least! ), and once home I proceeded to cut and manipulate the results. The other half of the project I recorded in the living room of my Paris flat, using a couple of music boxes from my collection, including my beloved componium for which I had composed two melodies by punching cardboard strips. The idea was to go beyond the “cutesy” image that music boxes tend to conjure up, and I think that I succeeded in that, especially when coupled with the film excerpts. The Leaf Label liked the results so much that they decided to release it as an EP, without the film excerpts for copyright reasons. 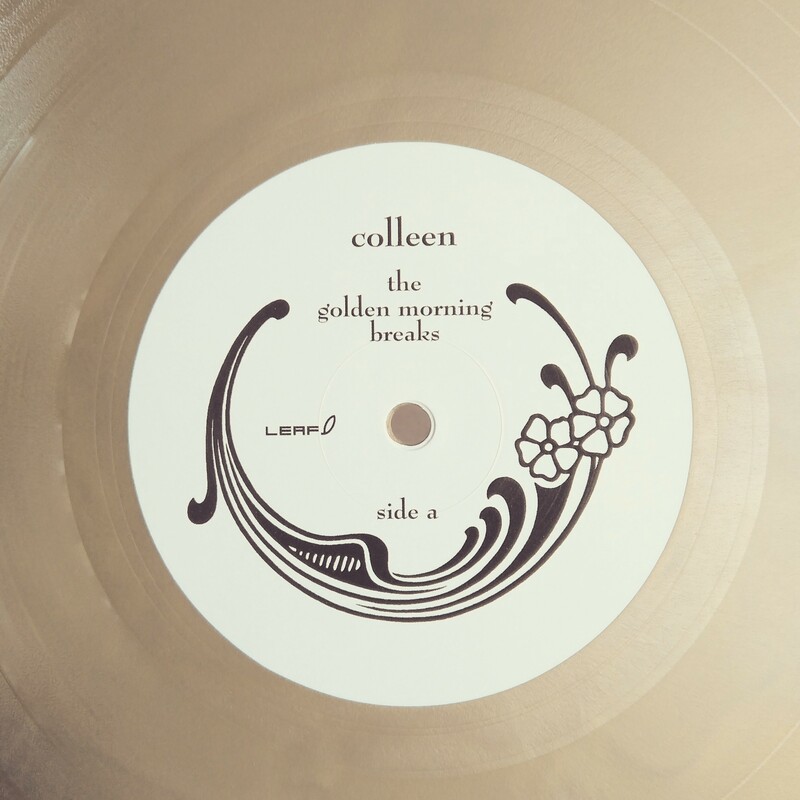 This is the first-ever vinyl pressing, and extra special thanks go to John Cavanagh for his generosity in providing access to his collection and for his expert recording, and to Iker Spozio for the amazing new artwork he has created for this release! For the curious and cinema-inclined, the films were: The innocents by Jack Clayton – Ensayo de un crimen by Bunuel – For a few dollars more by Sergio Leone – Sedmikrasky by Vera Chytilova – Casanova by Fellini – L’Atalante by Jean Vigo. 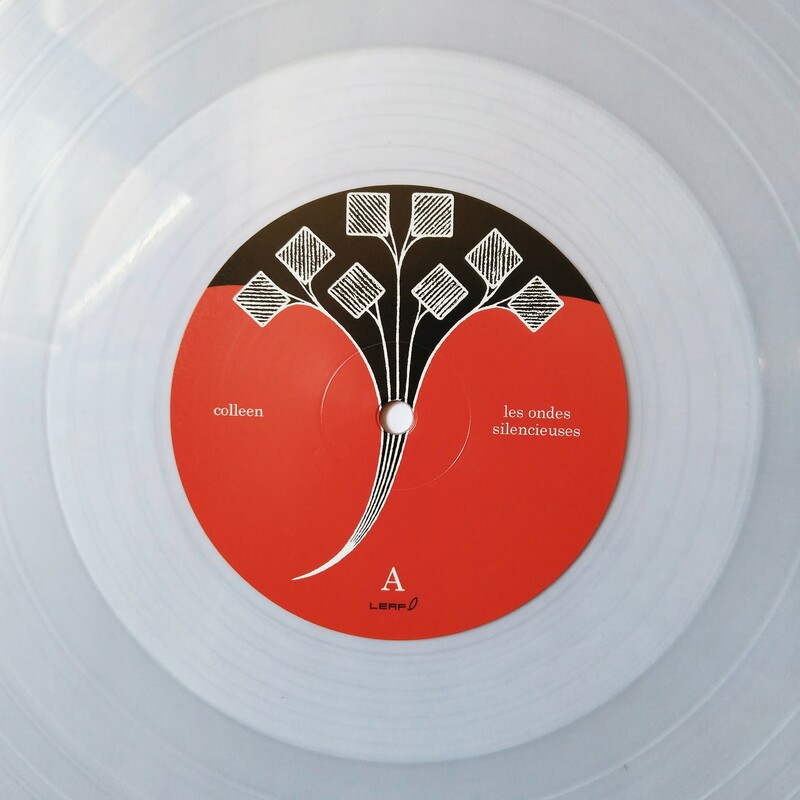 Les ondes silencieuses, 2007, The Leaf Label, transparent vinyl gatefold edition limited to 750 copies for Record Store Day, 22 April TODAY! Les ondes was my third and last album for The Leaf Label, and clearly the end of a cycle for me: an artistic, professional and personal cycle, all rolled into one. Artistically speaking, the viola da gamba had been my dream instrument since I’d first heard its sound in the film Tous les matins du monde as a teenager, and it remained just that, a dream, for about 15 years. As a non-classically trained musician, how could I ever hope to play such a complex instrument? And what about the price? But after acquiring a cello in 2004, and beginning to earn a living as a musician around 2006, suddenly these seemed like false excuses. In Paris on a day on which I went to buy strings for my cello, I saw a battered second-hand viola da gamba being inspected by a prospective buyer, and my mind went “click”: I need to find a viola, or have one made. An internet search led me to a couple of French gamba makers, and one stood out in particular: François Danger. In addition to making reproductions of ancient instruments, he had also made a few electro-acoustic models and could get special pickups fitted within the bridge of any viola. I liked the idea of a non-conventional viola maker, so contacted him, then visited him in Rouen and was astounded by the sound and sheer physical beauty of his instruments. Nine months later, in early2006, I received my 7-string bass viola based on an 17th century model. I started to take lessons with another open-minded person, teacher and interpreter Florence Bolton, and almost simultaneously started to make my own music on the instrument. In September 2006 I was granted a sabbatical from my English teacher job at the last minute, enabling me to go on a tour of Japan that proved crucial to the overall aesthetic of Les ondes. Organized right before the recordings for the album, my first visit of Japan, organised by Kazuki Tomita of Windbell who released my records in Japan at the time, deeply affected me: I was constantly feeling rushed and overwhelmed and in Japan I found a traditional aesthetic and a few concrete places that put my mind in the calm space where it so badly needed to be. 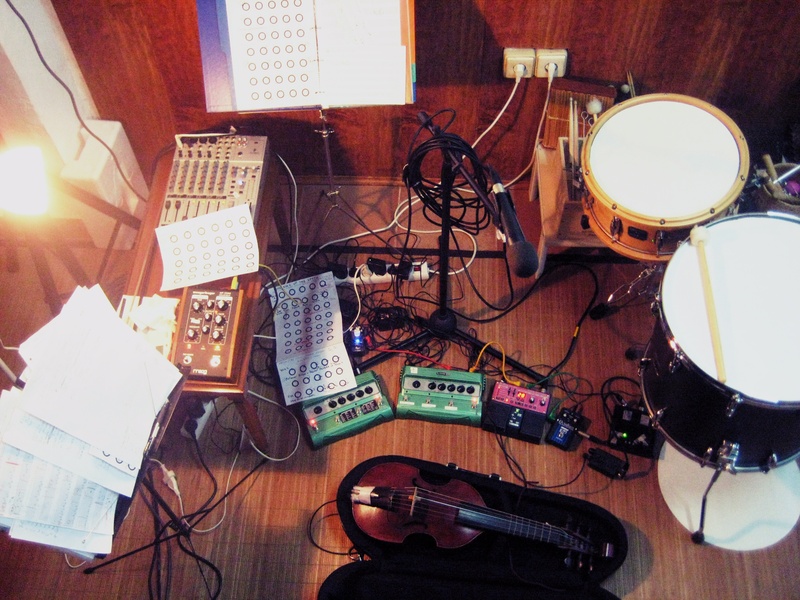 Once back home, recording this new music proved the limits of my DIY-on-cheap-gear approach: the minimalist compositions coupled with the very rich and peculiar sound of the viola just could not be captured with my meagre recording techniques and mikes. My mastering engineer, Emiliano Flores, who is also a recording engineer by training, really saved the day by recording me in the attic of his parents’ home. Once the main parts of the album were recorded, he sold me a mike which is still my favorite go-to mike, a Beyerdynamic MC834, and I proceeded to record the rest of the album by myself in the living-room of my Paris flat. Thanks so much for reading me and to all those of you who’ve followed me on this path for so long! REGISTRATION FOR MY MOOGFEST WORKSHOP ON 21 MAY OPENS TODAY! Registration for my Moogfest workshop “To play or not to play your album: live strategies for the solo performer” opens today Tuesday, April 18 at 12:00 noon ET! These days, within the broad “electronic” genre within which my music is generally classified, there are few acts operating live on stage without a computer and/or prerecorded elements, and I’m one of them: over the years I’ve developed a specific pedal-only setup and refined and diversified my way of using it in order to try and replicate my albums live – smething which I wasn’t really able to do during the first half of my recording career. In this workshop I will discuss how my live setup and approach have evolved over the years, and playing concrete examples from Captain of None on the exact same setup that I use for my shows, I will show you the various approaches and tools that I use to try and solve the very real problems facing the musician that creates complex layered music within the studio and tries to replicate it as a solo performer. This will be my first ever workshop and after giving more than 200 concerts in the space of 13 years I’m truly looking forward to sharing some of my methods with you! I will play live the previous day, Saturday May 20th at 4.40 pm in the First Presbyterian Church, and the workshop takes place on Sunday May 21, 10:30am – 12:00pm at The Mezzanine at the Durham. Places are very limited so if you are interested, please head over here! First things first, a weeks ago I finally finished my sixth album, and the next day when I doublechecked everything for the last time, I had the joy of receiving my vinyl copies of the Record Store Day reissues of my second and third albums and music box EP! Now that’s the kind of coincidence that brings a lot of joy! Although by now I should be familiar with the “mixing-takes-forever” experience, it still always takes me by surprise: I think I’ve *almost* finished a record (that was me a month and a half ago), and it turns out there’s still so much to do to take it to the level where I feel comfortable putting it out in the world. Doing this all by myself means it can be hard to have the necessary critical distance with the purely audio aspect of the music, especially when I’ve been recording for months, but last week I finally reached the happy stage of thinking “This one is ready”! To celebrate the upcoming reissues of my past work, I’ve decided to do a series of short posts about those records this week, for those of you who have found out about my music only recently and are not too familiar with my previous output. It’s also nice for me to revisit the context in which those records were made after all those years. I’ve been interested in visual arts for many years (in high school I seriously considered studying art history) and one of the things that interests me most when reading books focusing on a single visual artist is seeing their evolution, and how almost everyone begins by working in the current “fashionable” style, gradually evolving to more personal and mature work – but it’s the idea of every step being necessary and leading to the next one that calls my attention. Looking back at my own discographical output, I can see that sampling records on my first album Everyone Alive Wants Answers was what I needed to shift from a pop/rock/experimental guitar-player approach to a more open, genreless style of instrumental music. However, when the time came to make a second album, spending hours listening to other people’s records in order to find a few seconds to sample did not appeal to me anymore; reading an article in The Wire on Lou Harrison was pivotal in that respect – I wanted to make my *own* sounds too, and became obsessed with musical instruments, visiting every single musical instrument museum I could go to. I had also begun to perform live and had taken my classical guitar out of storage and begun to play it again with the help of a newly purchased Boss RC20 Loopstation. The combination of that simple step of beginning to sample my own instrument and having income of my own for the first time of my life (I’d become a teacher) paved the way for all the rest: I started to buy more pedals to further sample and delay my sounds, and more instruments, deciding I could play whatever I felt like playing, even if I’d never touched any of them: music boxes, glockenspiel, toy gamelan, toy synth, ukulele, zither and – crucially – my first cello, a sorry plywood ¾ thing that I only kept a few months before I bought a proper full size cello. I was also lucky to have a good friend in musician /broadcaster John Cavanagh, in whose home I had the privilege of recording a rare 19th instrument, the glass harmonicon. Even the wooden recorder of the dreaded mandatory music classes in French “college” made an appearance (Français de mon âge qui lisez ceci, je pense que vous aussi vous aurez des souvenirs merveilleux de ces leçons de musique au collège… ah ces fausses notes à la flute…). I recorded the album in the living room of my new flat in Paris, with extremely crude gear and an even cruder recording technique, but somehow, I really love the sound of that album, and have a lot of affection for it because of all it represents for me. Finally, you can catch the performance I gave at the Standard on 26th March as part of the incredibly curated and wonderfully managed Big Ears in Knoxville, Tennessee via Red Bull Radio today at 4 pm EDT /10 pm CEST or catch the replays on Wednesday, 4/19 11AM EDT and Saturday, 4/22 1:45PM EDT. 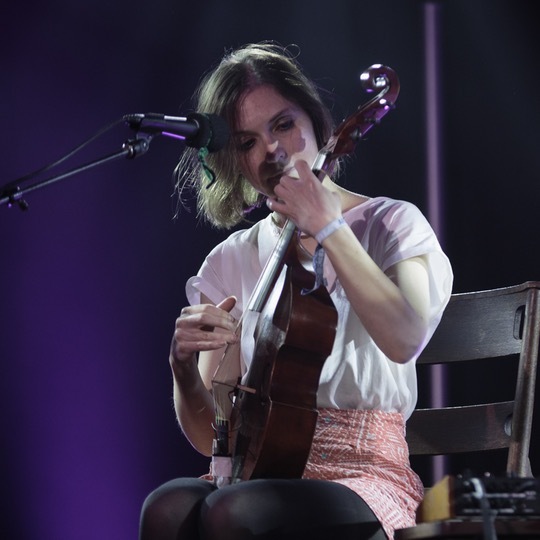 By the Sunday evening, as the festival drew to a close and the time came for me to perform my second concert, I was feeling super relaxed, and thought “At least this concert is not recorded for TV or radio, so I can talk between songs as much as I want! Indeed, when I know that a concert is being broadcast, I tend to restrict myself in terms of talking between songs – talking or not is always something I decide on the spur of the moment, based on length of time allocated for the show, the atmosphere, etc… but in general I tend to avoid talking when I know that there’s a recorder or camera rolling, as it feels a little more “constricting”. Anyway, here I was, convinced that it was my first performance (at The Mill and Mine) that had been recorded for both Aurora TV *and* Red Bull Radio… During my soundcheck at the Standard no one from Red Bull came to say anything, so I just proceeded with the concert and had such a good time and … talked a lot! ;-))) Well, *that* was the performance that got recorded by Red Bull Radio, so if you listen to this show you’ll hear me in one of my most talkative moods! ;-) There are a few issues soundwise (for some reason the bass tends to generate a buzz, something I heard as I played, and that did not happen during soundcheck… such a classic) but on the whole I really like the feel of this concert – there’s nothing like playing live and feeling happily connected to the music and the audience! Thanks ever so much again to all the lovely people at Big Ears in both the audience and in the organisation, and to Red Bull Radio for recording this! You are currently viewing the archives for April, 2017 at colleen.